We moved through Costa Rica and Panama in a hurry, which meant that we followed the Pacific Coast route, instead of the mountains. We had the incredible pleasure of meeting up with some friends in Costa Rica, and to have a family friend waiting for us in Panama City. 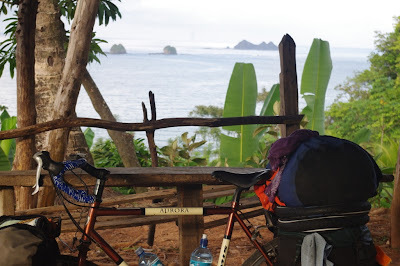 Views of the ocean , incredible beaches and lush lush rain forests characterized our ride through Costa Rica. And Panama offered us stays at fire stations, surprisingly smooth side roads, and of course the dramatic Panama Canal!